SHEDDING LIGHT ON ISSUES IN SPORTS BUSINESS ONE POST AT A TIME. 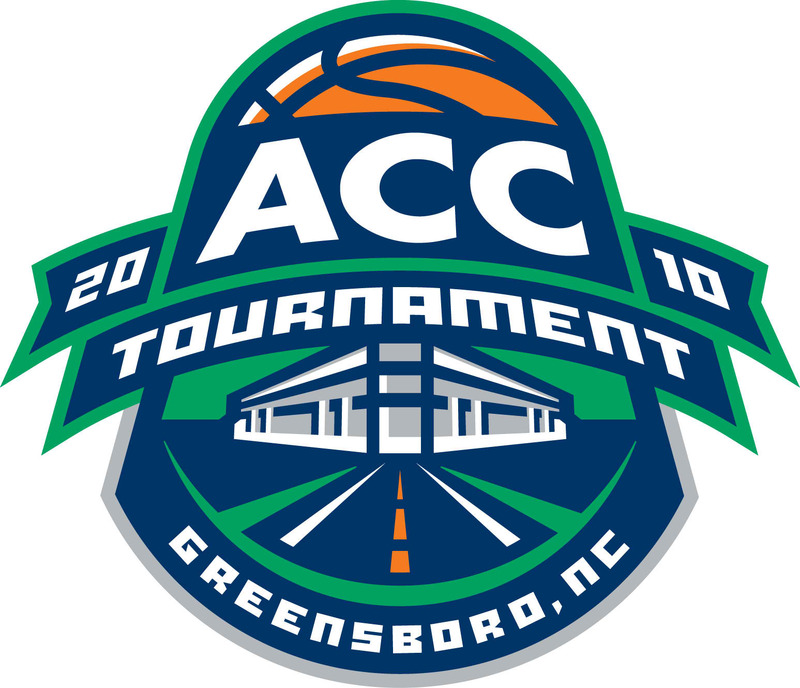 Raycom Sports has covered ACC sporting events since 1979 and both entities have helped one another prosper over time. 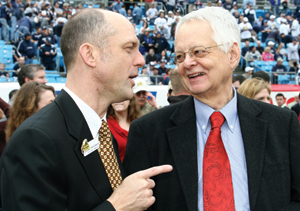 In the 4-10 October 2010 issue of Sports Business Journal, an article by Michael Smith and John Ourand titled, “History with ACC secures future for Raycom,” covered how the long-term relationship between the ACC and Raycom saved the latter from possibly losing its biggest media contract and main revenue stream. Their article is the basis of today’s post and a starting point for my conclusions. Basically, North Carolina-based Raycom simply could not match bids with networks like ESPN and Fox – who were both vying for the conference’s rights – nor survived negotiations without CEO Ken Haines or his staff’s efforts to underscore the role Raycom has played in the ACC’s history over the past thirty years. Nevertheless, talks between ESPN and the ACC would eventually end with a $1.86 billion contract that goes into effect at the beginning of the 2011-2012 season, according to Smith and Ourand’s article. Where does that leave Raycom? When ESPN launched in 1979, it faced the challenges all start-ups face, not to mention the level of competition found in the sports industry. Raycom sold the rights to some of its ACC basketball games to ESPN in the early 80s, giving ESPN a chance to establish itself. Later, in 1993, Raycom sold the rights to a Duke-North Carolina basketball game that allowed ESPN2 (the network’s new channel) to enter the scene with a fair degree of credibility, according to Smith and Ourand. As the decades came and went, ESPN grew and became the premier sports network in the US. As for Raycom, it remained in its market and built on its relationship with the ACC. Through the Summer of 2010, Raycom was in the fight of its life to secure a deal with the ACC that would guarantee its survival. “Everyone involved in the negotiations cited Raycom’s 31-year history as the main reason it was able to strike a deal,” wrote Smith and Ourand of the negotiations between the ACC, ESPN, and eventually Raycom. According to Smith and Ourand’s article, ACC Commissioner John Swofford said, “It tugged at me… We wanted to keep Raycom as a partner, but we had to do what was in the ACC’s best interests. That we got the deal we got and kept Raycom involved was icing on the cake.” Indeed, Haines used Raycom’s history with both the ACC and ESPN as a major talking point during negotiations. The product: a $50 million a year sub-licensing contract between ESPN and Raycom that secured at least 50 North Carolina jobs for the next twelve years. If you look in either Smith and Ourand’s article or Raycom’s website, you will find some of the particulars of that deal. Essentially, Raycom keeps “ACC football and basketball, [remains as] holder of regional cable rights, administration of ACC Properties and management of all ACC digital platforms including operation of theacc.com, and the official conference web site,” according the Raycom.com. While the bottom line influences all smart business deals, it is not the only path to follow during negotiations. There is a popular misconception that business is simply cold and harsh, and defined by cliches in popular culture such as the great “Wall Street” villain Gordon Gekko when he famously states that “greed is good.” Indeed, management and leadership must act with the company’s/stakeholders’ interests in mind, but managers who lead both prosperous and honorable careers and leaders who earn the respect of their peers do not forget those who helped them along the way. Without Raycom’s willingness to sell rights to some of its hottest properties to a new competitor also struggling for credibility (ESPN and ESPN2) so long ago, or its loyalty to the ACC over 31 years, ESPN and the ACC would have spent more time and resources searching elsewhere for rights to quality programming and securing media service for its properties and events. Whether in business or life itself, one always appreciates another’s efforts to make life a little bit easier. Sure, one cannot dismiss the fact that Raycom has profited from these relationships over the past thirty years in one way or another, but so have ESPN and the ACC. In fact, all parties must benefit if a relationship is expected to function well and last a long time (Raycom, ESPN, and the ACC prove this concept). A long time ago, I learned an important lesson from the greatest people I have ever known (my parents, grandmother, and brother – and am reminded of it every day by theirs and my fiancee’s unyielding example) and would like to emphasize today. Remember that as long as one dutifully conducts oneself with honor, integrity, and can walk in and out of an establishment with his or her head held high, there is no failure to fret about nor any outcome to fear. In fact, it is one of the best methods of achieving success and fueling confidence in any endeavor. This is an irrefutable truth that we must exemplify throughout our lives in order to be truly successful and thoroughly satisfied at the end of the day. Thanks, as always, for your readership. This article is a tribute to all of who have played a positive role in my life. From friends and instructors who have provided both wisdom and support, to my family and future wife who have not only helped make me the man I am today, but indeed make this world a better place through their words, actions, and love.